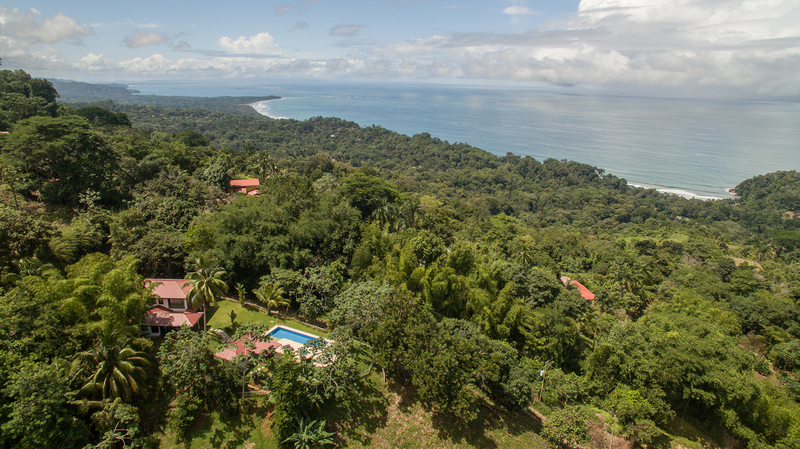 You want privacy, jungle surroundings, ocean views, pool, fruit trees, and extra space for guests. Look no further, because this beautiful mountainside home has it all! As soon as you take a step inside, you immediately feel at home. An open-concept, finely finished kitchen and spacious living area lead straight to a patio overlooking the large lap pool. 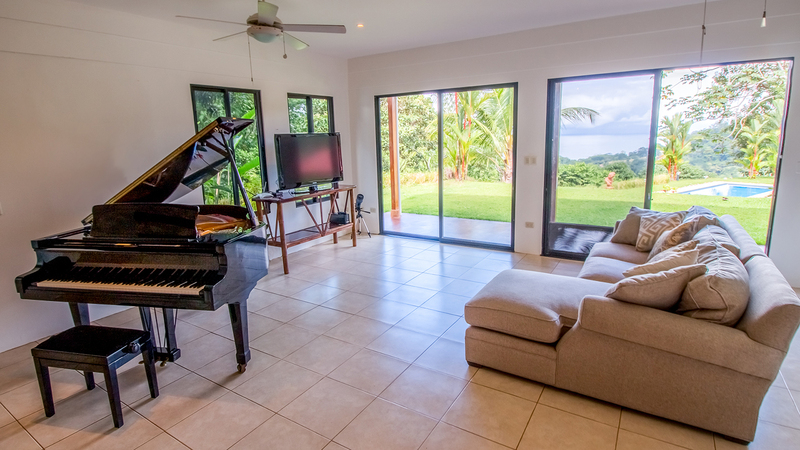 Floor-to-ceiling windows let in plenty of natural light while providing outstanding views of the jungle and ocean. The 2-story home features a master suite on each level, plus a large third bedroom, offering plenty of space and privacy for you and your guests. 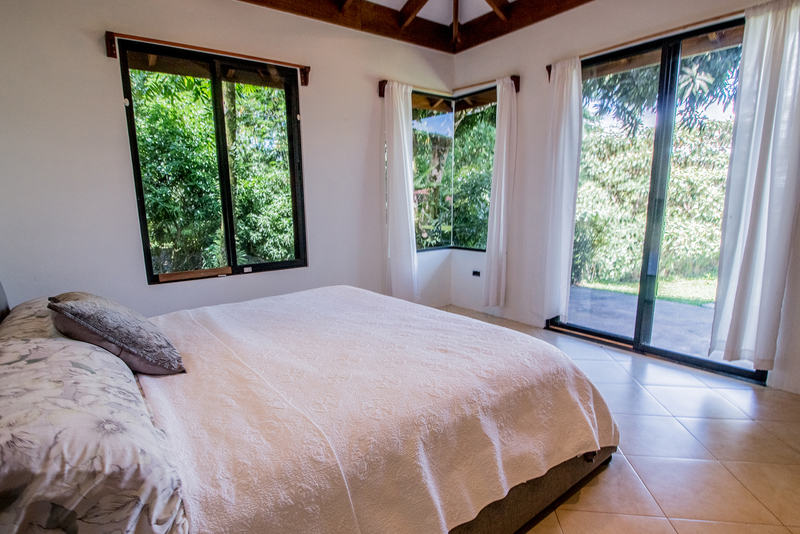 Each bedroom features a private entry to the patio or balcony - ideal for sipping your morning coffee in peace. 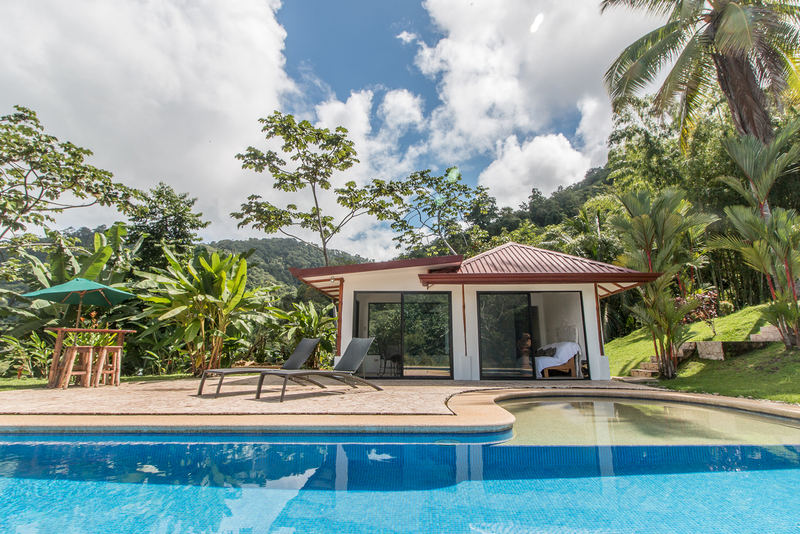 And the bonus poolside bungalow offers even more room for friends and family to visit. While you will enjoy cool ocean and mountain breezes, the home does feature air conditioning for additional comfort and rental opportunities. 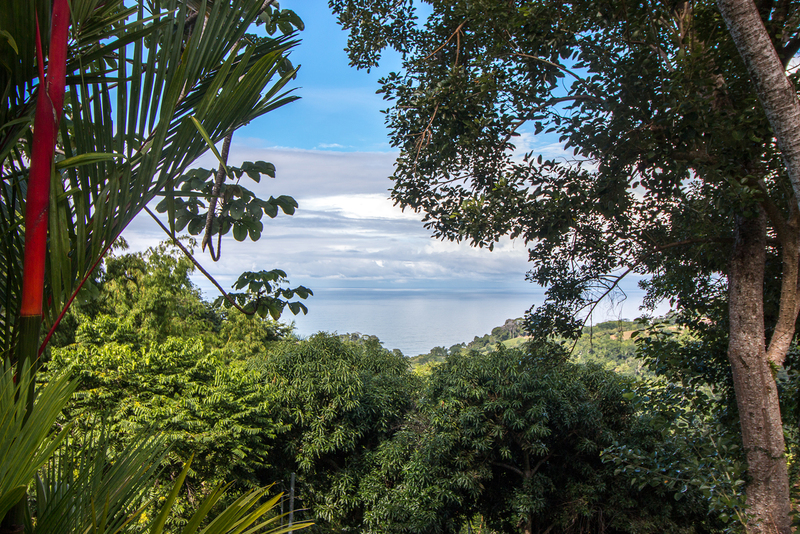 The property is surrounded by raw, natural jungle, but the yard itself is beautifully manicured. The current owner fenced in the yard, providing an oasis for your pets! Plus a private gated entrance provides additional security. A variety of indigenous flowering plants dot the yard, while several mature fruit trees line the property. Fruiting trees include avocado, mamon, lime, mango, and more. The spacious patio, pool, and outdoor lighting all lend themselves to creating an ideal entertainment area. 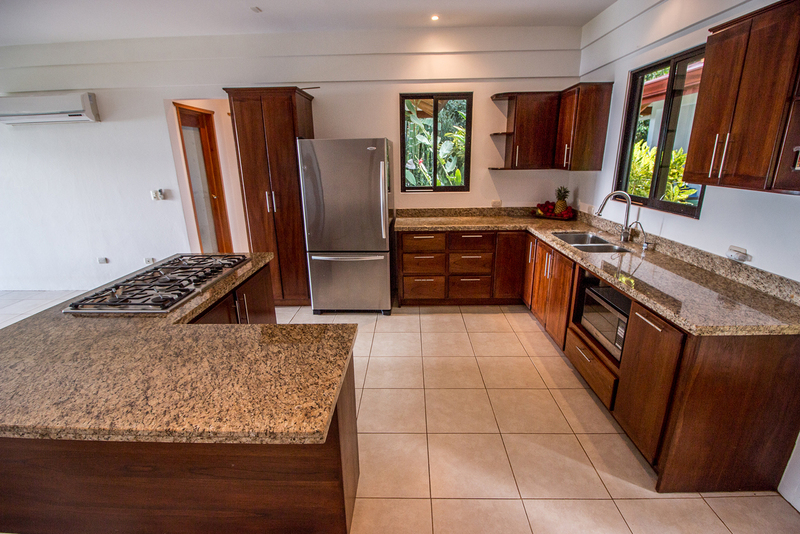 Just 5 minutes from the coastal highway, this property boasts quick access to town services and gorgeous beaches. 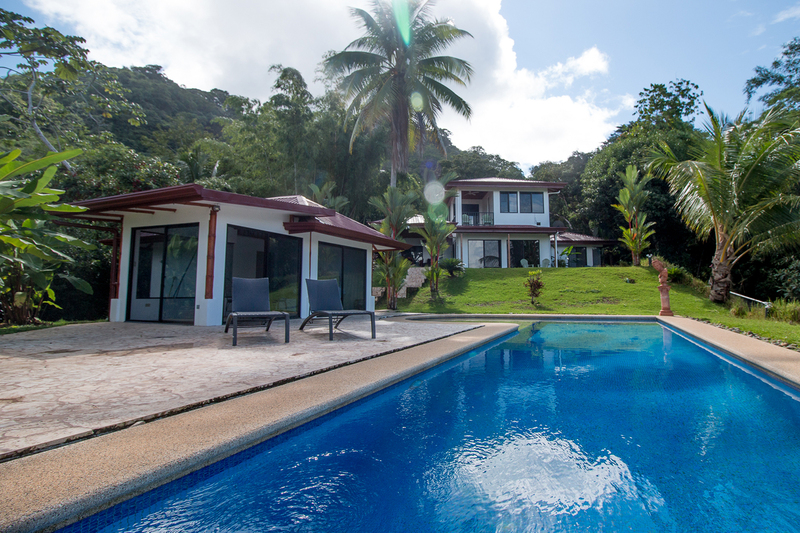 A fantastic beach for swimmers, surfers, or sun-relaxers, Playa Hermosa is within walking distance to this private home. 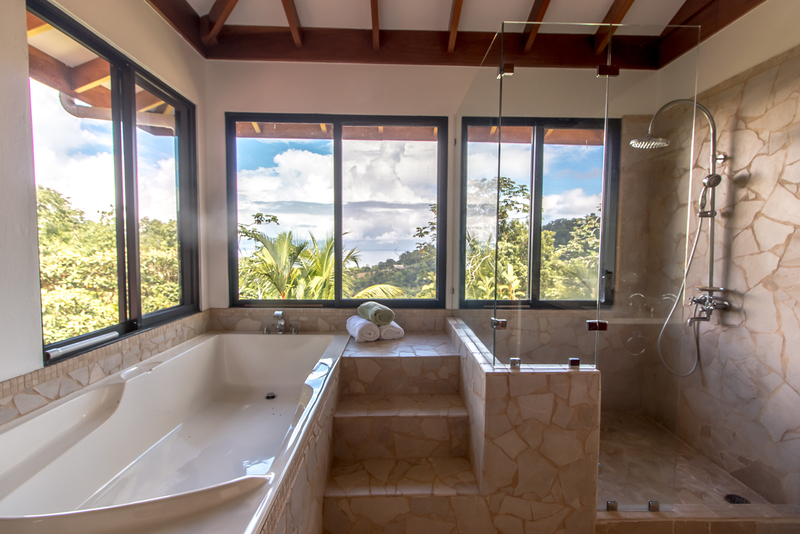 With an ideal location between Dominical and Uvita, you’ll have access to grocery stores, banks, shopping, restaurants, medical clinics, and more. This home is located on a road with few neighbors, so drive-by traffic is minimal. 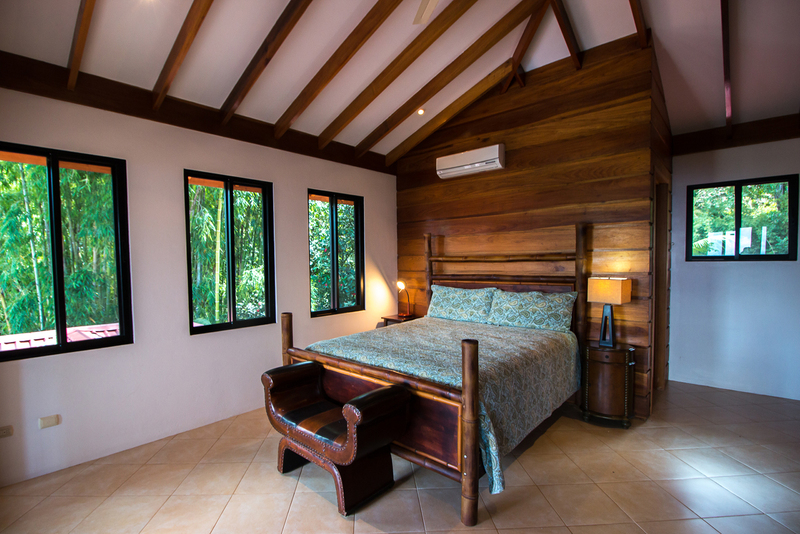 The home and bungalow come fully furnished. While the property is move-in ready, there is plenty of opportunity to add your own personal touches - creating your dream home in paradise!